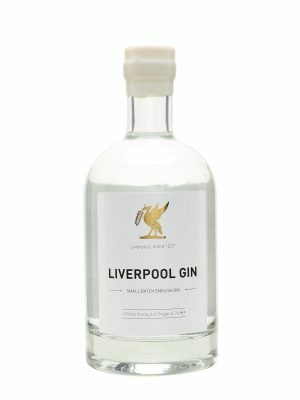 Liverpool Gin started life as a small independent gin distillery in 2013, set up by John O’Dowd and Mark Hensby (of the Liverpool Organic Brewery). By 2016, it had become part of the Halewood International empire; a large drinks producer and distributor that already had a number of gins in its portfolio, along with vodkas, whiskies, rums and even Crabbie’s excellent collection of ginger beers and wines. At the time of writing, Liverpool Gin’s own website is “coming soon” (and has been for some time) so there’s not a great deal of detail on exactly what botanicals go into the spirit. From older notes I’ve managed to dig up online, it appears to be “an organic gin blended with hand picked organic botanicals, a classic selection including juniper berries, corianders, angelica root and citrus fruit”. As with Mason’s Yorkshire Gin, despite the name Liverpool Gin is legally a London Dry Gin – distilled in the presence of botanicals with no flavouring or colouring added after production. The aroma makes me think of an old-fashioned sweet shop – sherbert and lemon drops, and even a hint of parma violets. As it sits in the glass, a touch of cardamom comes through too and the strong lemon notes start to shift from sweet shop to washing-up liquid. In the mouth, the cardamom is much more significant and it’s full of sweet lemon juice. There’s a slightly odd perfume flavour lurking in the background – possibly what gives that parma violet aroma – but it’s fleeting and the finish is pretty much all about those lemons. This is a fresh and fruity gin that I’ve grown to really like; the initial hit of cardamom had me a little concerned, but it balances out nicely with the sweet citrus notes – 4 stars. Liverpool Gin is available from our friends at Master of Malt, priced (at the time of writing) at £42.99; alternatively, those of you in the northern half of the country may find it lurking on your supermarket shelves. Many thanks to Liverpool Gin for providing this sample to taste.